E minor is the key of brief sadness, the kind of sadness that doesn’t have time to turn into despair because it recovers so fast. It expresses the pain of unrequited love, for example, but quickly moves on to acknowledge that there are other fish in the sea. 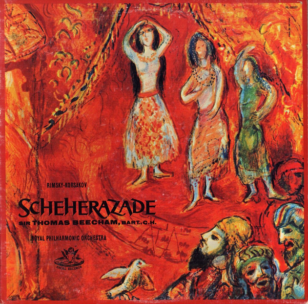 Nikolai Rimsky-Korsakov wrote his ballet Scheherazade in E minor. 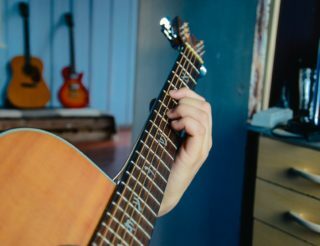 The key of E minor is popular with classical guitar composers, possibly because it fits the guitar so naturally; most of the strings of the basic E minor chord position are left open, and the lowest and highest tones in the chord are the tonic, E.
Heavy metal composers also like it, probably for the same reasons— but also for the moody sound! 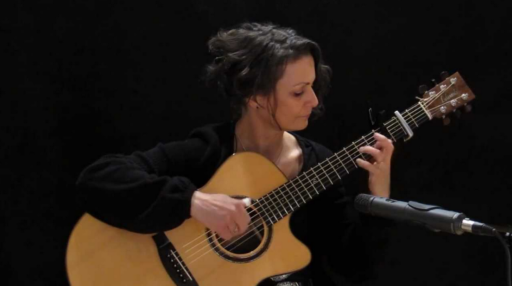 Classical guitarists like Manuela Grabsch often find themselves playing E minor compositions. The key of E minor is the relative minor of the key of G major. Why? Because both have the same key signature— one sharp (F#). A minor key is always three half-tones lower than its relative major. Once you know that, you can find the relative minor of any major key just by counting down three half-tones— or three frets on your guitar! If you want to learn more about minor scales and how they work, read this. The key of E minor and the guitar chords required of it are easy to play, so it’s worth your while to learn to play them well. Download the free Uberchord app (click for download) that listens to you playing guitar, provides instant feedback and tracks your daily progress. The basic E minor chord shape only requires two fingers, so it’s relatively easy to add grace notes and extra tones to the chord. Let’s take some time now to review the differences between a major scale and a minor scale. 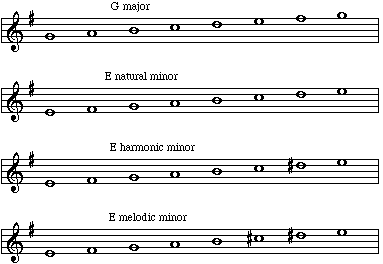 In the scale of E minor the notes are thus E, F#, G, A, B, C, and D.
Below is the E minor scale, with E at its root and another E, an octave higher, at its highest point. Try sounding it out on your guitar by playing the tablature below the scale. Playing scales on your guitar is a whole lot easier after you memorise your guitar’s fretboard notes. Here is a secret technique used by many pro guitarists around the world to learn the fretboard.. In recent weeks we’ve introduced you to harmonic minor keys, which are like the natural minors (the minor keys we’ve been studying so far) except for one tiny difference: the seventh note is raised a half tone. In the key of E minor, this would raise the D to a D#. We’ve also shown you melodic minor keys, which raise the sixth and seventh notes of the scale but only when ascending. When descending, the melodic minor scale is exactly the same as the natural minor scale. Below are four keys with the same key signature: G major, E natural minor, E harmonic minor, and E melodic minor. The E minor chord, which forms the root of the E minor scale, is made up of the notes E, G, and B— the first, third, and fifth notes of the key of E minor. On the guitar, using the E minor chord shape shown in the diagram, these notes arrive in this order: E, B, E, G, B, E.
Why does this chord sound so different from the E major chord? The only difference is in the G string: The string that in the E major chord is held down at the first fret to create a G# is open in E minor (because E minor’s key signature dictates that G be natural, not G# as in E major), and that’s all it takes to turn a buoyant E major chord into a heavy E minor. Because the basic E minor chord has four open strings, its sound is very resonant and, as we’ve said, versatile. You can’t play this same chord position up the neck like you can with the F major chord position, for example, but you can add 7th, 9th, and 13th notes to it with ease, both as constant notes or as hammer-ons and pull-offs. But just playing them like this won’t sound like music; chords need to come in an order that’s pleasing to the ear, as we’ll soon see. The E, A, and B chords are minor because in the natural minor scale (unlike the major scale) the chords at the first, fourth, and fifth positions of the key are minor. The F# is a diminished chord because in the key of E minor it sits in second place, and in minor keys second place chords are diminished. As in the major keys, the fifth chord— B minor in this case— can also be played as a Bm7. Because it sits at fifth place, it has the honour of being the chord announcing the ending of the chord progression, if not the end of the song itself, and is generally followed by the root chord (E minor in this case). Adding the seventh note of the key of B minor (A) to the B minor chord, creating a Bm7, makes the B minor chord sound like it’s moving the action ahead, pushing on to the root chord (E minor) that so often follows. 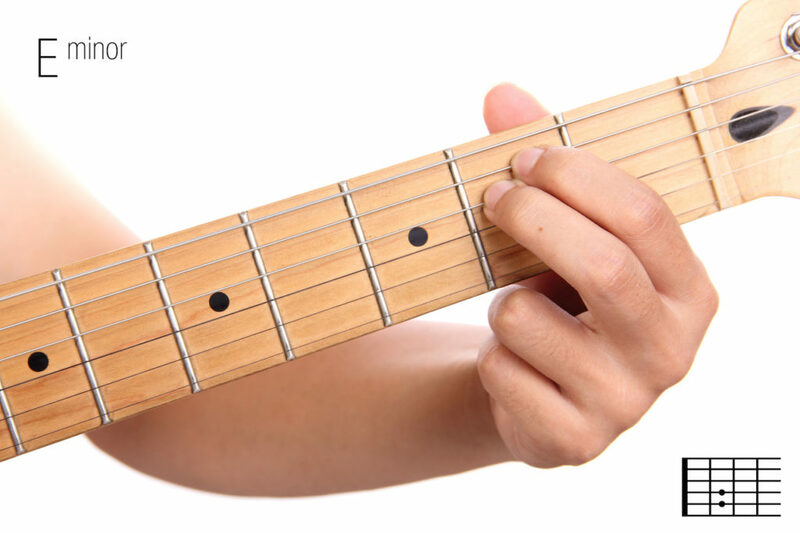 The seventh note in a scale is called a leading tone because of the way it leads us to the tonic, or root note of the scale, so it’s a great note to add to a fifth chord to “push the action forward.” Check out our previous post on understanding and playing 7th chords and, don’t miss the series on learning and understanding music theory. Develop your musical skills by playing around with the progressions below, habituating your ear to the ways in which chords, depending on their order and context, create the sounds of beginning, rising, falling, and ending. The most common chord progression for folk, classical, jazz standards, country, and pop songs is loosely based on the following progression: I, IV, V, I (that is, on the first, fourth, and fifth chords in each key, major or minor). E minor—A minor—B minor (Bm7)—E minor. Repeat this progression a few times. Do you hear how even in this short progression the music has a clear beginning, middle, and end, especially if you use Bm7? The key of E minor is sad, but not too sad. It sighs, but it doesn’t cry. It talks of pain but refuses to sink into it. 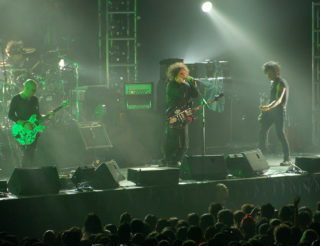 It’s the wounded soldier who refuses to lie down and die. 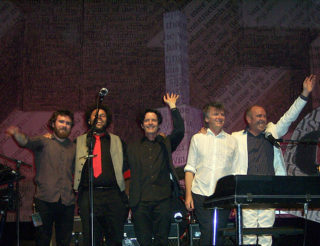 All great reasons to make the key and chords of E minor your friend!